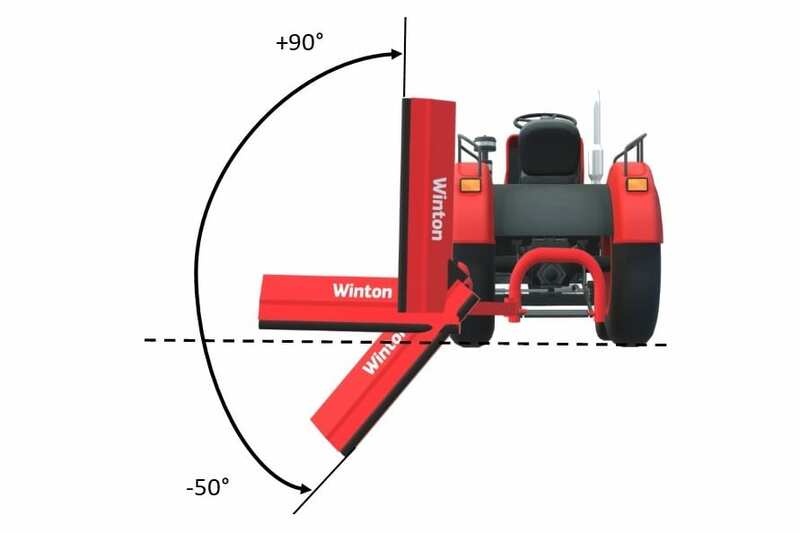 Winton verge flail mowers have hydraulically operated offset cutting heads perfect for cutting verges, tricky grassed areas and low hedges. 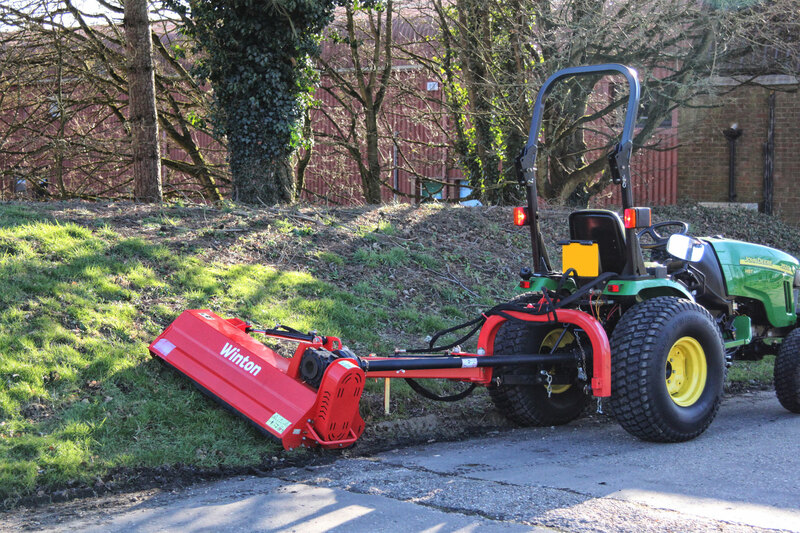 As well as full upwards vertical movement at 90 degrees, it can be used at a 45 degree angle for ditch and verge cutting. 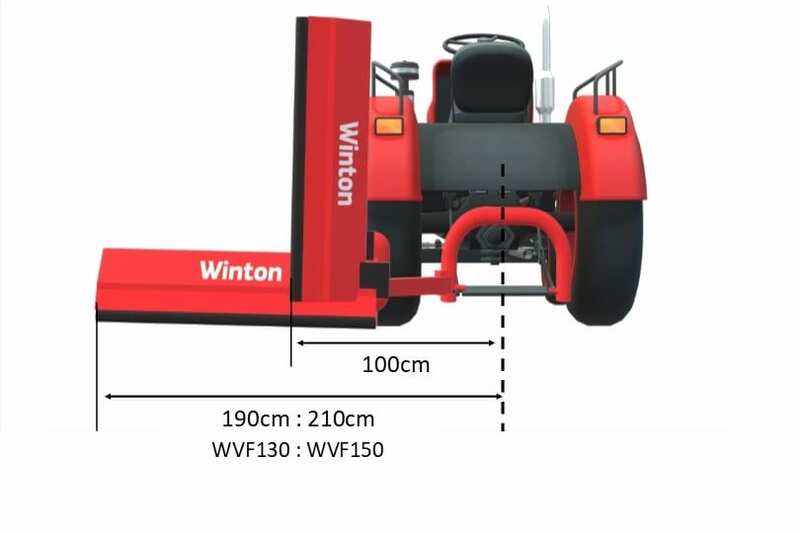 Adjustable cutting height range of 3-8cm. Requires two double acting hydraulic spools to operate.